Harmonizing your surrounding environment is more than just matching the furniture with the curtains. 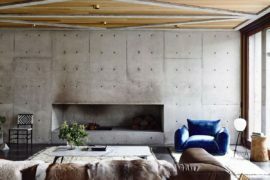 Instead, it’s about finding the balance among the three so-called “invisible forces” within the home, which feng shui masters believe to be the universe, earth, and man. Once these three legs of Zen living meet at a point, your mind, body, and soul will feel renewed. 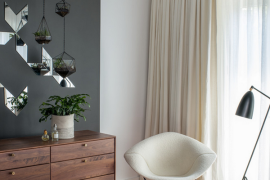 Whether you believe in natural healing powers or not, there is no denying the simple beauty that takes hold of interior decor when you draw inspiration from the Zen way. 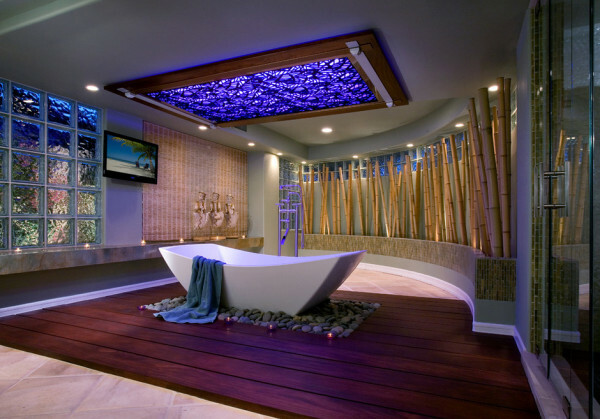 Previously Decoist covered a variety of Zen living design tips. You can find how the color blue plays a big part in Zen designs here or how rock gardens are the perfect contrast to modern living here. Zen is a lifestyle. It is a physical change to your home that can help you reinvigorate your outlook on life and your many day-to-day tasks. 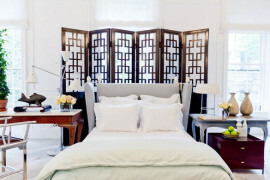 Though simple adjustments to your living spaces, like repositioning the furniture or adding some greens next to your bed, may not have an instant effect, in the long-run, it’s a sure bet to finding peace. Bamboo takes a huge role in the art of Zen. This flexible material can be used to contrast plain walls and add texture to the overall design. 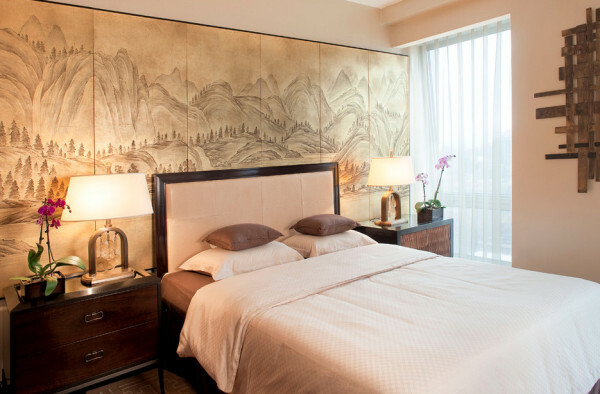 Zen designs for the bedroom usually include potted orchids and elegantly painted artwork. Other decorations can include Buddha sculptures, healing crystals, and linen fabrics. Of course that is a short list of suggestions, but such a spiritual lifestyle is about exploring your own interests and letting them take you on a journey to find your center. 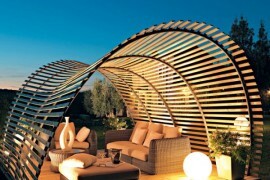 If you aren’t interested in a personal gym, then how about a mediation room like the one above? 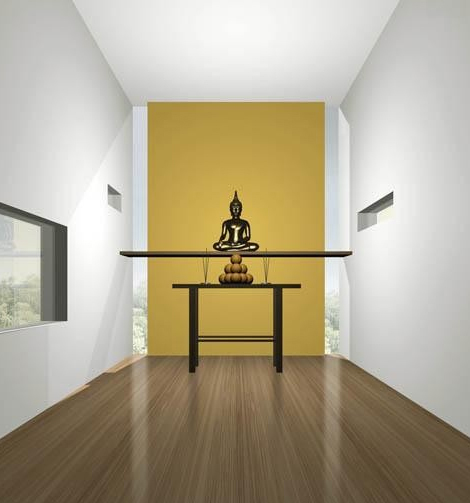 These rooms do not need to be extremely fancy, and can quite easily double as a yoga retreat for daily sessions. 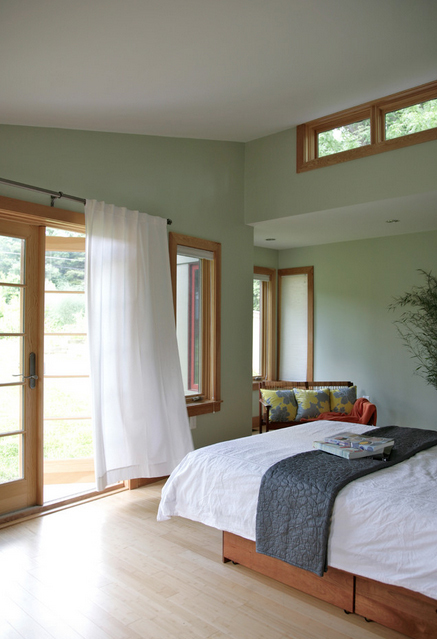 Natural wood window frames are ideal elements for Zen homes. They bring in positive energy from the earth, as well as simplicity to the inner space. 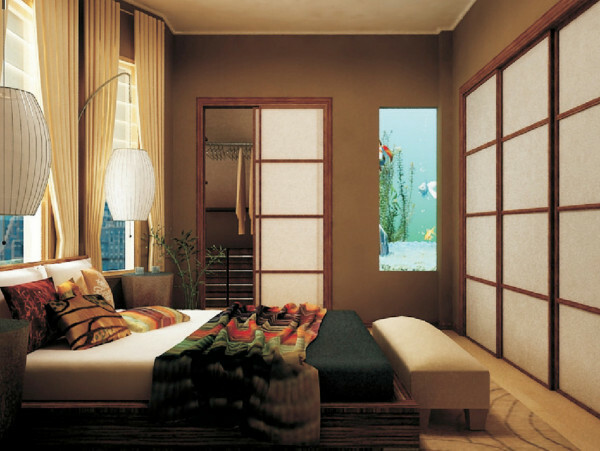 Sliding wooden doors like the ones installed in the bedroom above can be found in many Zen homes. This Japanese-style bedroom is free of metal structures, which can be too harsh in homes that are more about emotions than aesthetics. 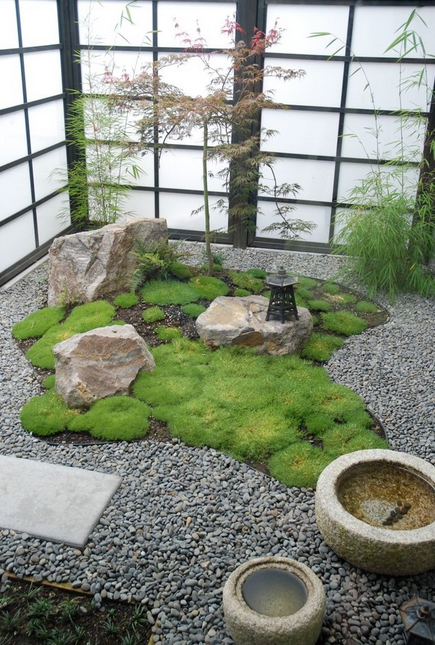 Indoor gardens, koi ponds, and meditation platforms are also common finds in Zen homes. Wouldn’t it be nice to walk into a free environment similar to the one above? 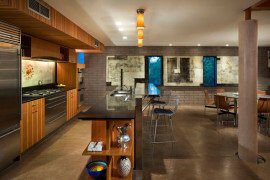 Zen designs are all about minimizing the effect of our living spaces. 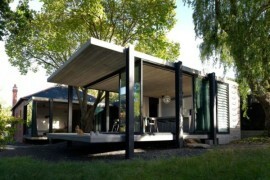 To accomplish this, think of ways in which you can enhance the feel of your home with a limited amount of materials. 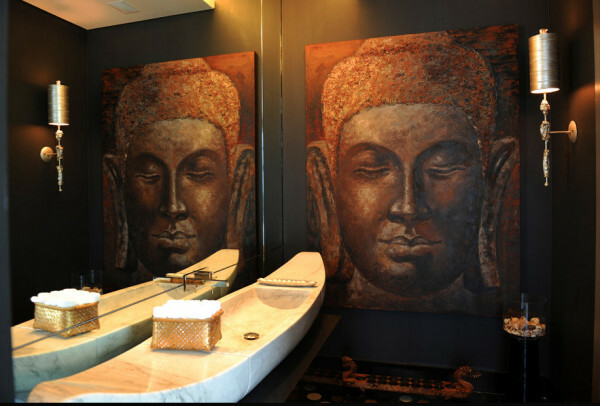 Wall art is a must-have in Zen homes. Because you will be practicing minimalism, the home should not have too many decorations, so wall murals like the one above are an excellent way to kill two birds with one stone: You get to rid your home of empty spaces, but also preserve a minimalist look. 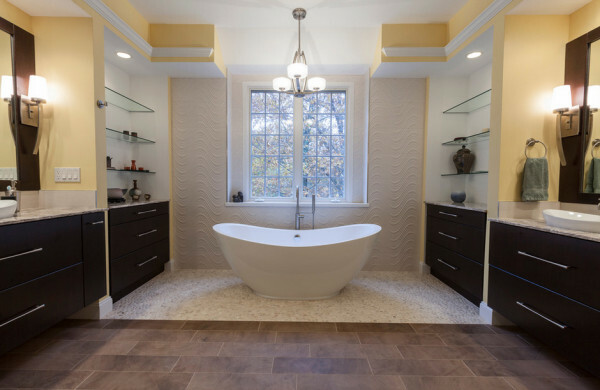 This yellow and white bathroom is good example of how Zen designs can be merged with modern designs. 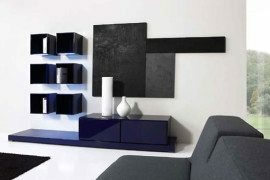 Their fusion creates a highly attractive look, a sense of timelessness that will maintain its elegance. Southeast Asia is know to be an intensely spiritual part of the world. 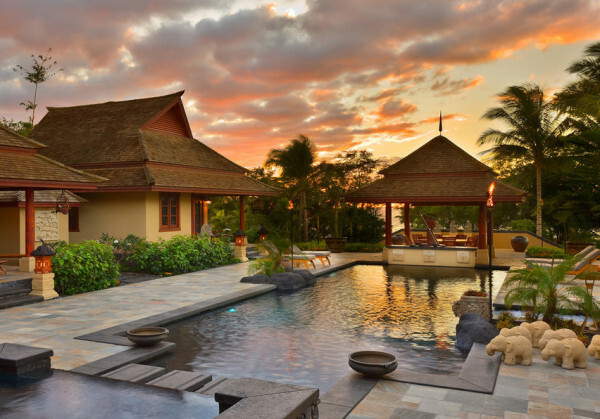 The home above, while it may be set in Indonesia or Thailand, is a great example of how you can design your backyard pool to look more artistic. 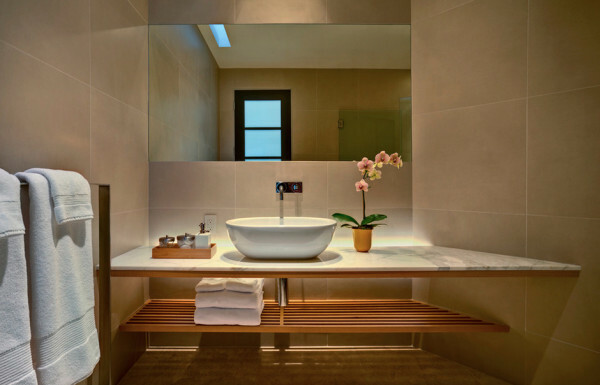 As always, we would love to read your thoughts about Zen living and how you designed your home to embody more simple elegance. Leave a comment below and share your favorite designs with all our readers!